: I was very young and remember watching Flaming Star. I cried.plus my dad played his music all the time. : HIs Voice, and his smile. : I would ask him if he would do it all over again if he could. except for the drugs.and then ask him to make us fried banana sandwish. : My favorite song is Just Pretend and Love Me. movie is King Creole and Flaming star. : I think he did his best acting in those 2 movies. and the songs are from when I meet my husband, they became ours. : I was visiting my aunt in mississippi. in a clothing store it came over the radio. and I went to the car and just plasyed his 8 track over and over and cried. : nope not a one except more pictures. Thank you for taking part in our survey. 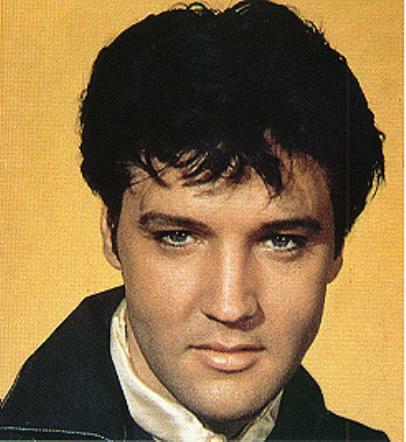 Elvis was such a great looking man, his voice is just so suiting his looks. The man beneath the `King Of Rock And Roll` image was as sincere as many of his deep and moving lyrics.